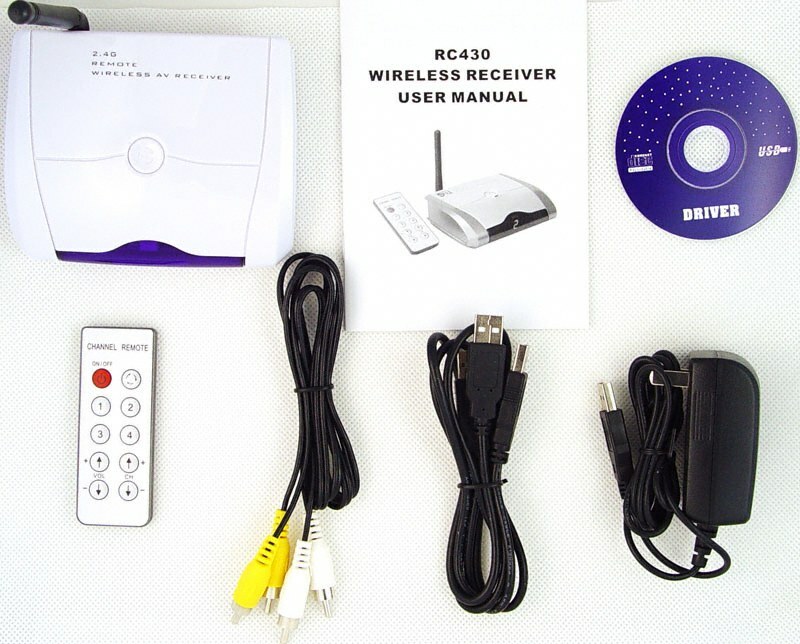 Wireless receiver for wireless security cameras/wireless security camera system. This 2.4ghz receiver works with wireless cameras on 2.4ghz frequency. 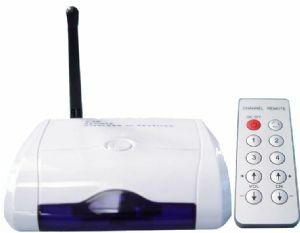 It can connect to a tv or a computer and has the ability to record onto computer hard drive, software and usb connection supplied. Supports up to 4 wireless cameras with color vision & sound. Functions include auto camera scroll, time & date stamp, channel number display, records on to computer hard drive. Includes Receiver, remote control, Computer software, computer lead, tv lead, power adaptor, manual. Wireless transmitter. 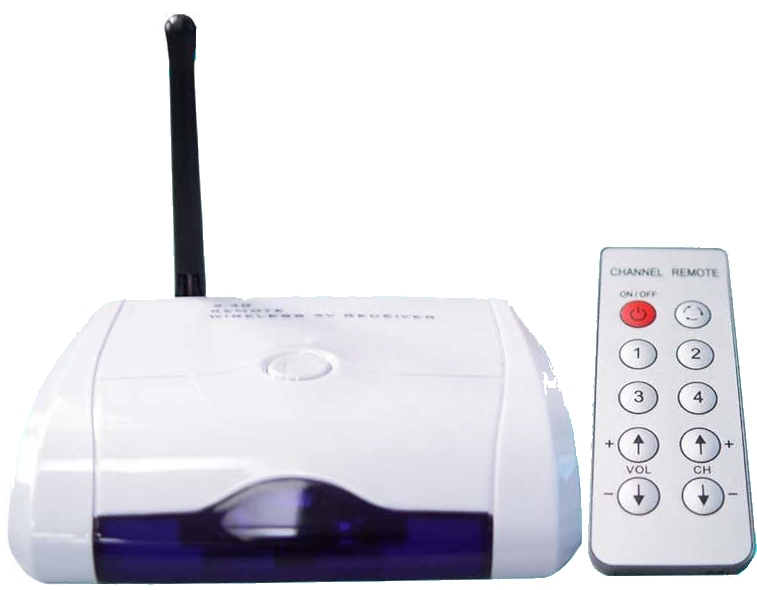 200 meter wireless transmitter & receiver kit with 200m range, makes any cctv camera wireless, can transmit sound and vision/colour picture. Ideal for cctv security cameras, farm/calving cameras, slatted sheds and galvanised steell/tin buildings. Can transmit sound & colour picture. 1500 meter / 1 Mile wireless transmitter & receiver system. Makes any cctv camera wireless, can transmit sound and vision/colour picture. Ideal for cctv security cameras, farm/calving cameras, slatted sheds and galvanised steell/tin buildings.